Sometimes miracles do happen. For Daniela Tursini, one of countless people affected by last week's deadly earthquakes in Italy, it came in the form of a reunion with the cherished pet she thought she'd lost forever. 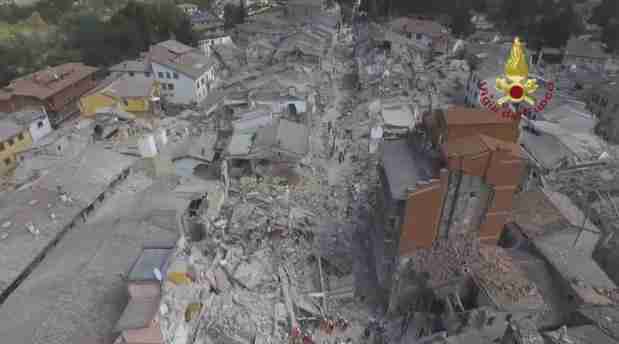 Tursini had been at home with her cat, Gioia, on Wednesday when the 6.2-magnitude quake rocked her village of Amatrice in central Italy. Although she was lucky to escape with her life, Tursini had been unable to carry out Gioia, who went into hiding as the initial tremors struck. The next morning, aftershocks reduced what was left of Tursini's house - like so much else - to rubble. In the aftermath, Tursini continued to try to find her pet, calling out her name. As rescue efforts got underway, she pleaded with firefighters to scour the ruins of her home for Gioia. Still, as the days passed, hope of finding anyone alive faded fast. "I beg you, find my cat, she's all I have left," she told rescue workers, Il Centro reports. "My house is gone, I've lost everything." On Monday, nearly six days after the quake struck, the incredible happened - crews clearing the rubble found Gioia alive. Afterward, Gioia was given a checkup by veterinarians on hand and was found to be dehydrated, but otherwise in good health. Gioia has since been returned to Tursini - a joyful reunion, no doubt, amid so much loss and devastation. While the earthquake has claimed the lives of nearly 300 people, rescuers have been compassionate to the plight of non-humans as well. More than 200 animals have been pulled alive from the rubble so far, TheLocal.it reports - each one bringing a glimmer of hope that not all has been lost. Click here to learn how you can support ongoing rescue efforts in Italy.